You may wonder how to choose quality eye care when it seems you can buy groceries and receive an eye exam at the same ‘super' store. Would you feel comfortable having one of the world's biggest corporations in the global economy caring for your eyes? We don't either...We live in your community and we have the time and understanding to give you a full comprehensive exam. trust us....an eye exam takes more than 15 minutes. Our website has been designed to help you make an informed decision regarding who you'd prefer to care for your healthy eyes. Quality eye care is not just about selling eyeglasses or filling prescriptions; Preventing and treating eye disease is our primary goal. We provide quality eye care... no compromises. So much has changed over these last few decades, technology, procedures and insurance policies. Now as a country we are headed down a new road for healthcare. 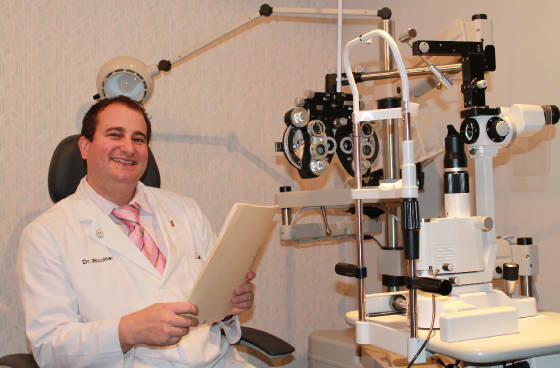 No matter where it will take us, our doctors and staff are here to help you, our community, continue to receive the best possible prevention, treatment, frames and contacts to help you look and feel your best..